Many, many years ago the Church of Jesus Christ of Latter Day Saints came to the museum and made copies of our WWI service cards. They have finally put the cards up on their Family Search website in a FREE, Searchable database! A link to the cards is below. You do have to sign up for a free account to see the images but all they ask for is name, email, and birthdate. Without signing in you can still see name, dates and some other information but not unit information. 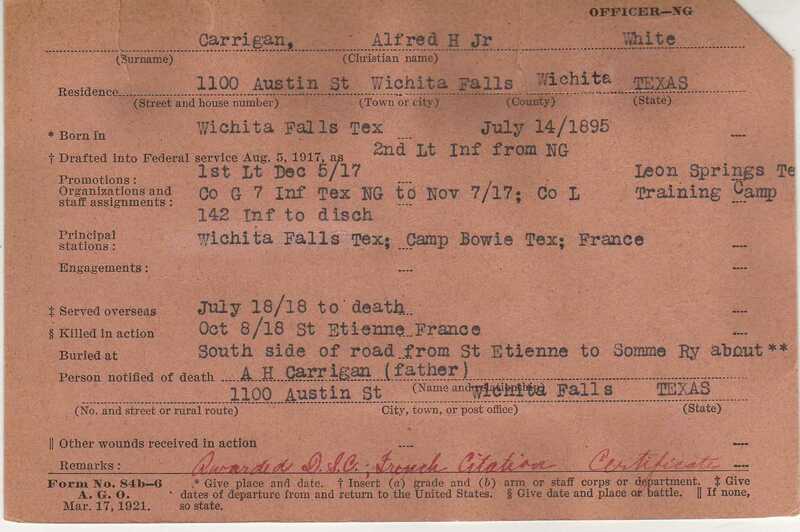 This entry was posted in Exhibit and tagged service cards, texas, wwi. Bookmark the permalink.